There are more places to pick when looking to eat vegan in Nashville now there was ten years ago even five years ago. Locally owned and operated eateries are mingled in with chain restaurants and many of those chains are shunned. I eat at local places as much as possible but I refuse to support a local place if their food is poor just like I refuse to spend money on bad food at a chain. I have recently noticed a lot of backlash for chains even though the food may be good and clear vegan choices are available. I’m not referring to TGI Friday’s, Chili’s, Olive Garden or Ruby Tuesday as those restaurants have little to nothing to offer a vegan let alone a vegetarian. My question is do you avoid all chain restaurants and go local only even if the local option offers a subpar meal? How important is it to you? Every vegan has been in the situation before: Going out to eat and no vegan options so you settle for the burrito joint. You’ll be able to get a black bean and rice burrito with a spoon of guacamole if you’re lucky. Now nothing is wrong with black beans and I’m never one to shun some guacamole but sometimes you need a little extra on your burrito and I don’t mean lettuce and cucumbers. Chipotle has been rolling out their Sofritas, a spicy seasoned tofu, for a while now. Presently, it is available in 24 states. On October 13th, that will expand to the south and southeast US. That means you’ll be able to get a little extra protein on your vegan or vegetarian burrito in Nashville. I was invited to try Sofritas last week and even though I have traveled out west a couple times this year where Sofritas is now served at all Chipotle restaurants this was my first time trying it. As you go down the line and and get you rice and beans the Sofritas is right there next to the chicken and beef. I know what you’re thinking – CROSS CONTAMINATION! – because, let’s be honest, vegans think about those things. If you’re vegan don’t lie, you think about it every single time someone touches cheese and then asks if you want it on your burrito making an assumption. Well, this is a fast casual eatery so things happen but it has it’s own spoon and at the restaurant I was at the Sofritas was behind all other animal products so no dripping would occur as other items were served. Set you mind at ease or don’t eat out, right? 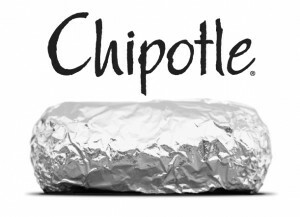 Chipotle is a restaurant that is big on local and fresh ingredients. Of course sourcing local tofu all over the country is not an easy task so they have chosen one supplier, Hodo Soy of San Francisco, as their tofu supplier. Chipotle goes as local as possible with their other ingredients. They source from a 350 mile radius of the restaurant’s market for ingredients such as tomatoes, which are hand chopped each day in the restaurant, and lettuce. The rice used in the Nashville restaurants is grown in Arkansas. Bet you didn’t know there were rice patties in The Natural State! When I tried the Sofritas I was expecting a bit of heat, just a mild bite, since it is seasoned with roasted poblano and chipotle chilis but it was a very mild, sweet flavor. The tofu is a super firm tofu and it is in tiny bits. It is very chewy and holds the flavor of the sauce very well. A Sofritas burrito is $6.50. While you may be accustomed to getting your vegetarian burrito at Chipotle with a heaping scoop of guacamole included that is not the case with a Sofritas burrito, guacamole is extra. I opted for guacamole on my Sofritas but in the future may leave it off as I thought it didn’t blend well with the spices of the Sofritas and it made the burrito too heavy flavored. I would rather have the guacamole on the side with chips. All winners will be chosen at random on Friday, October 24. For a while J. Alexander’s had had an excellent veggie burger that has been vegan. However, on a recent visit I inquired about the veggie burger once again. I was told that the recipe for this burger had changed recently with a menu revamp and now contained eggs and that the bun now had an egg wash. Unfortunately, for the local veggie burger fans this is one less choice. Do you have a favorite veggie burger in the Nashville area? Let us know in the comments where you find it and be sure to specify if it is vegan. Chipotle Pinto Beans Are Now Vegan (and Vegetarian)? Most of us know that Chipotle’s pinto beans have long contained bacon as an ingredient, as plainly stated on their menus. This leaves the vegan or vegetarian looking for a burrito at Chipotle with black beans as their only option. I recently received an email form a reader to inform me that his local Chipotle was serving pinto beans that are vegan. I had to confirm this news so I called each Chipotle location in the Nashville area as well as the restaurant in Huntsville, Alabama just to get an outside-of-the-area report. With each call I was told that indeed the pinto beans are now bacon-free. Checking the Chipotle website the ingredients for the pinto beans still list bacon. This ingredient change may be gradually moving out to locations and is still in progress. Be sure to ask before getting pinto beans on your burrito. 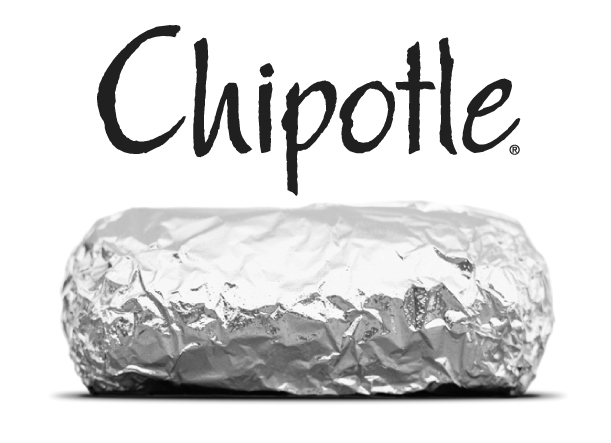 So, if pinto beans are your favorite burrito bean feel free to safely munch away at Chipotle. Also, let me know in the comments if your Chipotle is serving the new pinto bean recipe. We all have those times when we just want a greasy treat and you want that treat topped with mustard, ketchup, relish and maybe a heap of sauerkraut. If you’re vegan or vegetarian and that hunger hits you should find yourself at Cori’s DogHouse. You can have your dog served up anyway you like and the menu is fairly extensive. 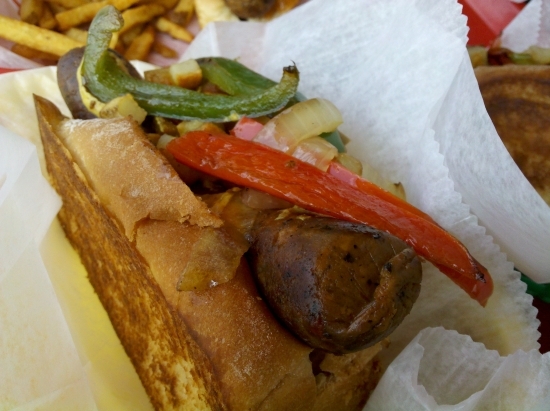 For the vegans and vegetarians you can choose from a Lightlife dog or a Tofurky Italian Sausage or Kielbasa. After that small decision it’s up to you on which direction to travel. 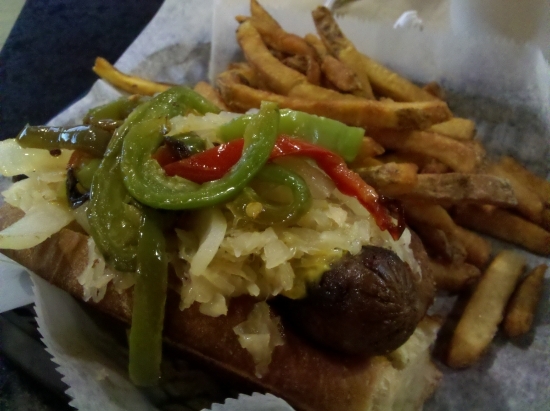 I personally go for a New Jersey Italian with deli mustard, fried potatoes and grilled onions and peppers or a Chicago with tomatoes, onions, dill pickle, hot peppers, mustard, celery salt and add sauerkraut. Our first visit we were inquisitive about the buns, which are just sliced thick bread, and the “butter” for the buns which is just a vegetable oil. We were assured both were actually vegan and were shown the packaging to view ingredients. You can also get your dog with a heaping side of hot crispy fries. I recommend it. I mean, if you’re going to indulge in the dog why not go all the way. You can always run a few extra miles or sweat them off with another hour of hot yoga or something like that. After you devour that dog be sure to go back for a second and try something new. It’s worth it. I always do. 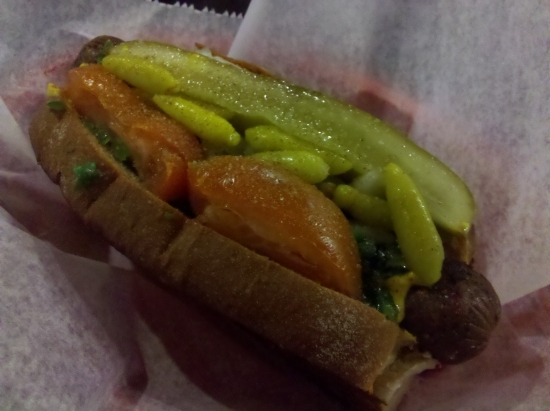 The Jersey Italian with a vegan Tofurky Italian sausage. If you’re really hungry just order a group and pig out. 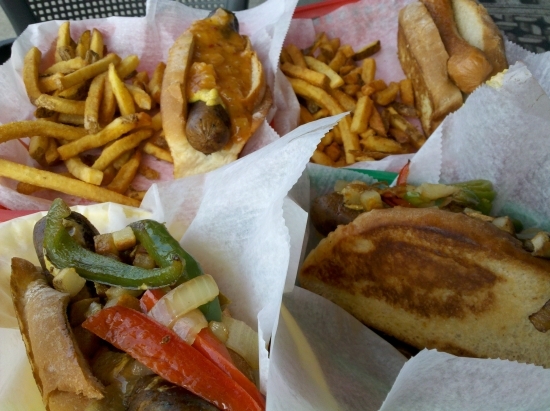 Cori’s Doghouse has two locations, Nashville’s West End and Mt. Juliet in Providence Marketplace.